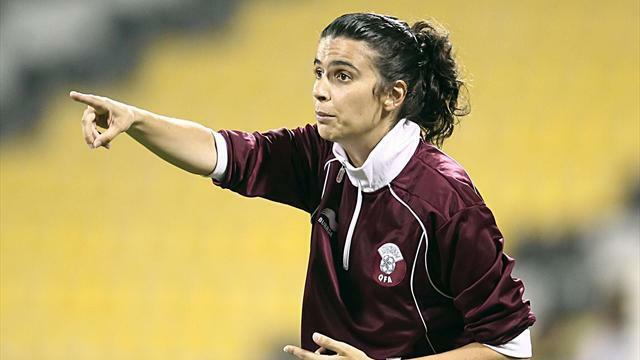 French second division side Clermont Foot have named Helena Costa as their new coach, the first time a team in the top two divisions of one of Europe’s big five leagues has appointed a female manager. Iran women’s coach Costa, 39, has previously managed the Qatar and Benfica women’s sides. The Portuguese has also worked in men’s football, most notably as a scout for Scottish champions Celtic. “Costa has come through the ranks of Benfica’s coaching staff, although she has also managed the women’s teams of Qatar, Iran and Odivelas (a Portuguese women’s side). In addition she worked as a scout for Celtic,” Clermont said. Players reacted positively to the news. Defender Anthony Lippini was excited about the development. Olivier Chavanon, a former player with Clermont, will join Costa as a sporting director. Regis Brouard, Clermont’s current coach, said he would leave the club this summer on the expiration of his contract. This is not the first time Costa has coached male teams. In addition to being a Celtic scout between 2008 and 2011, she successfully managed Benfica’s youth teams from U9 through to U17s, and won the Lisbon regional championship with Portuguese lower-league team Cheleirense. Probably her greatest previous achievements in the male game are two World Youth titles for Benfica, with whom she also won a Portuguese national youth championship. Costa is one of the best-qualified coaches football, boasting a Masters degree in sports science, a UEFA A license and the authorship of several articles and seminars on coaching and sports. She also recently commenced a PhD in Sports and PE in Lisbon. The only other woman to coach a professional men’s team in Europe has been Carolina Morace, who managed third-tier Italian side Viterbese for just two matches before quitting due to constant media pressure way back in 1999. However, there have been several female executives and directors at top football clubs, while female referees are not uncommon in Europe.